2. After I acknowledge trade, please upload the picture of the gift card. Complete picture. IF YOU DO NOT HAVE PICTURE of the card, PLEASE CANCEL TRADE. 3, Physical card ONLY. No e-code. 4, Wait for me to check your card, I will release BTC as soon as good code is verified and balance is credited to my device. 5. I will release the BTC to complete the transaction, the time is usually 1-10 minutes, if I have several trades open at the same time, this may delay my checking time. 7. If Gift card displays an error message, such as Already Redeemed, I will upload the image to chat. Before opening a dispute against me, contact Itunes. Offer a voice recorded conversation with them to confirm when and by what Apple ID your gift card was redeemed to. 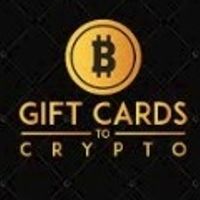 I am an honest businessman, with BTC to trade for valid gift cards. I appreciate your business. Биткоины Paxful Купите биткоины через iTunes Gift Card Покупайте биткоины используя iTunes Gift Card за USD Продукт №: :is_hashed 5 позитивный отклик на основании 1 отзывов 5 позитивный отклик на основании :feedback_total отзывов $9833.02 USD Сейчас Доступно от: GC2Crypto Онлайн. Купите сейчас!